Hello and welcome to the ongoing series Pick Or Purge - where I comb through a particular product in my makeup stash and decide what to keep and what to discard. Last time I went over my concealer stash and drastically edited it; today I'm going to be tackling my mascara lot! I actually only started wearing mascara around the middle of last year - so, for about a year now. I've never really felt the need for mascara (it's funny how I find myself saying that about a lot of makeup that I now "can't do without" :P) because I think I have decently long lashes and sometimes just curling them seems to do the job. Still, I wanted nice, lush lashes like in the adverts - of course, I know now that it's all due to false lashes and Photoshop! - but I got hooked along the way and now if I want to look really nice I have to wear mascara. 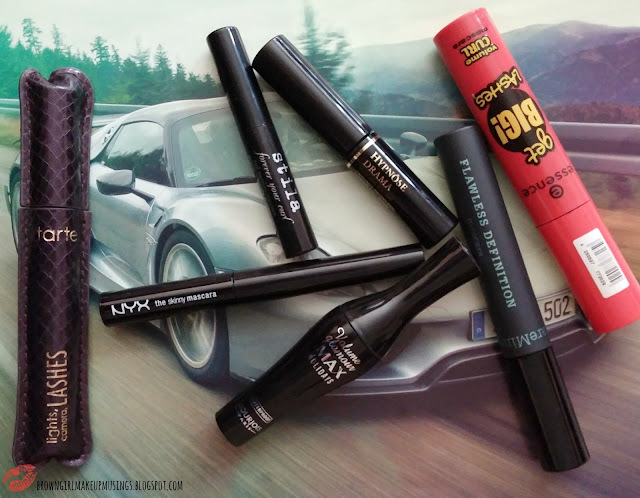 Since I have fairly long lashes, I'm not too particular about a lengthening mascara, but I do look for one that will give me volume. I have a couple that I really like, but few that I really like enough to fully commit. As you can see, they all have very different wands from one another. I guess that justifies the number? This is one of my favorite mascaras. I think this is my second or third tube! The formula is not wet, I'd say it more on the dry side for sure. This is a great formula for length - I get a very dramatic, "almost falsies" kind of effect. Unfortunately it doesn't provide as much volume as I'd like. Psssst. Want a lengthening formula that can hold a curl? Don't want to pay a ridiculous amount of money? Try this mascara! 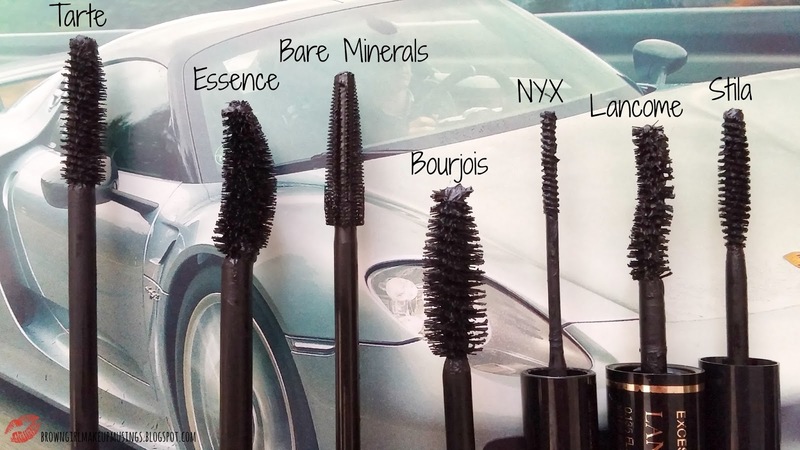 It gives me similar results to the Tarte mascara, and is a mere fraction of the price. The formula is on the dry side, and it gives my lashes nice length but not too much volume. This started off as a somewhat wet formula that annoyed me the first couple of times I tried it (it smudged on me!) but a week or so later it dried up a little to become a really nice formula. The brush gave my lashes good definition and helped to separate them, and gave them length. The huge issue with this was that the formula flaked after some time. I ended up with little bits of mascara under my eyes, not a good look at all. I got this as part of a Bourjois set when I went to London last December, but I only opened it sometime in the end of April. I like this mascara a lot! It gives me good volume and length, and holds a curl decently. The formula is a little on the wet side, which I think helps with the volume (I'm not sure, though). If it was available here, and if I wasn't interested in "trying all the things!" I'd seriously consider re-purchasing it. Final verdict - Purge (because it's almost 3 months). Good mascara but I want to try something different. You know my thoughts on this mascara. 'Nuff said. 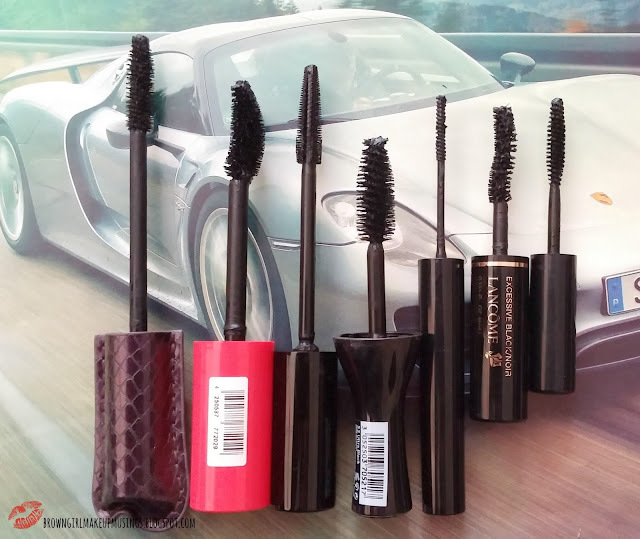 Lancome is supposed to have great mascaras. I mean, I've heard Lisa Eldridge talk about it in her videos so it has to be true, right? I didn't want to believe the hype. I got this sample and I went into it with a sneer on my face, totally thinking I was going to crush the hype over it. But you guys. You guys. This mascara... ugh, it's so good. It makes my lashes look long and luscious. Length? Check. Volume? Check.. Curl? Decent enough. I wish, I wish, I wish the full size weren't so damn pricey because I would jump all over it. Sigh. I guess I'll just settle for trying to use the wand with other formulas. This should actually be called "For-never your curl & forever running" because that's just what it did. It does nothing for my lashes, makes my lashes droop (even after I've curled them) but it's biggest sin is that it runs and smears all over my eyes for absolutely no reason! Watching TV? It'll run. Checking yourself out in the mirror? It'll run. Have a hot guy look at you? It'll run. This should be called The Coward Mascara, with the amount of running it does. I'll be trying out the Covergirl Clump Crusher and Lash Blast next, along with repurchasing the Essence mascara. Do you have a favorite mascara? 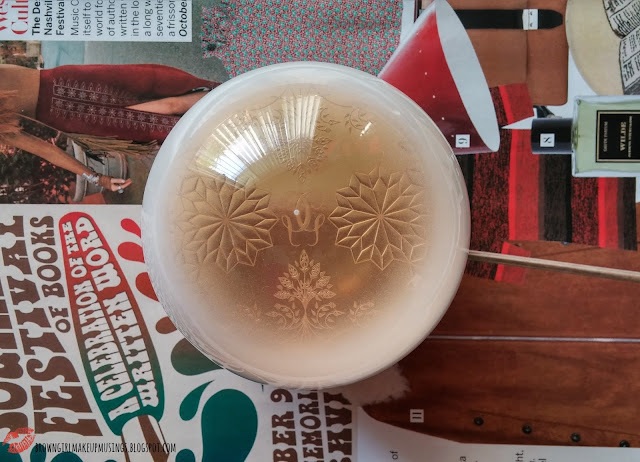 Have you tried a high end formula that you fell in love with but wept over the price tag? Comment below and let me know! 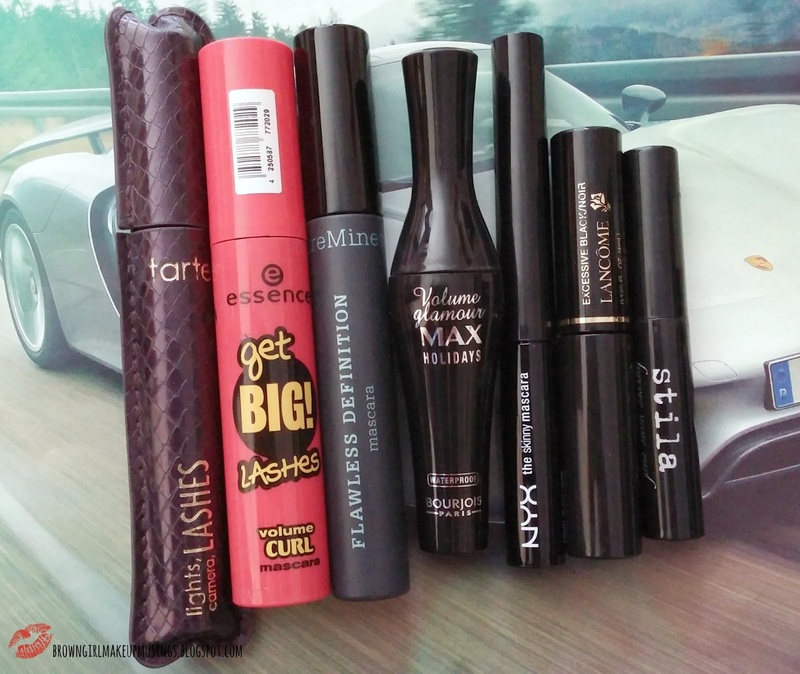 I have so many sample mascaras I have to stop myself from buying full sizes!